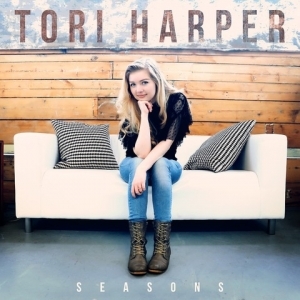 Franklin, TN-based singer/songwriter Tori Harper releases amidst acclaim her debut EP, Seasons, May 18 through The Fuel Music. Nineteen-year-old Tori’s original songs are meant to speak truth over people as she vulnerably shares her experiences and the ways in which she has seen God work in her own life. Wrestling with depression, Tori was divinely reminded that “God sees her.” This became a turning point in her journey that sparked a renewed commitment to Christ. As God began to reveal more of Himself to Tori, and as she began to firmly root her identity in Christ, she became acutely aware of others’ heartaches. Her songs are an effort to respond to people’s hurt from a place of deep authenticity and relatability. Taking a cue from Psalm 16:11, Tori wrote the song “Joy” that was produced by Colby Wedgeworth (Jordan Feliz, Mandisa, Danny Gokey) and is reaching millions each week through radio airplay in top markets like Houston, Washington D.C., Atlanta, Dallas, Tampa, Minneapolis and more. The song has also hit the Top 20 (No. 18) on Billboard’s Christian Airplay chart. Tori originally started writing songs as a way to “see in the dark” and help her friends do the same. Her debut radio single, “After Dark,” was penned for a friend who was battling bulimia. The song’s lyrics came out as she struggled to find the right words of hope-filled empathy to extend to the girl, whom she had long admired. In addition to the aforementioned songs, Seasons features the title track and “My Father, My Shepard,” both produced by Grammy Award-winning Seth Mosley (for KING & COUNTRY, Skillet) and Mike “X.” O’Connor (Brandon Heath, Colton Dixon), and “Stand Firm,” produced by Micah Kuiper (Hawk Nelson). "I love what Tori Harper is doing,” says Mosely. “Her artistry is fresh, and her heart is pure. Big things to come for her." Ultimately, the type of artist Tori hopes to be is one who points her fellow sojourners to the truth of God’s Word with every song.